There’s nothing like the freedom of travelling wherever and whenever you want while still enjoying the comforts of home. 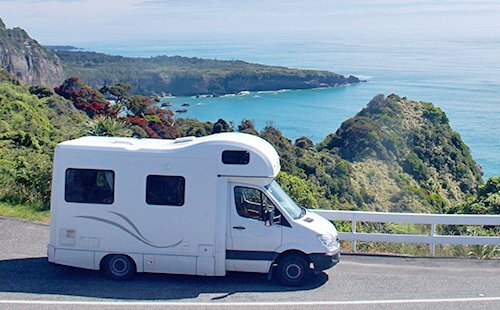 Having a motorhome offers this type of carefree lifestyle, so it is important to have the right insurance cover in place to ensure peace of mind while you’re on the road. That’s why we have sourced a comprehensive motorhome policy which offers enthusiasts one of the best covers in the market. Full replacement if the vehicle is a total loss and the incident occurs within two years of its first registration. No basic excess payable for the first windscreen replacement claim in any one period of insurance. Automatic $1,000 contents cover (for contents kept in the Motorhome). Up to $1,000 cover for towing your vehicle to the nearest repairer following a mechanical breakdown. Cover to get you home if your vehicle is stolen or cannot be driven following an accident. Cover for emergency accommodation following an accident, fire or theft. $1000 cover for partial loss or damage to your personal contents e.g. bicycles, scooters, motorized wheelchairs. $20 million motorhome legal liability and $20 million personal liability.